Meg Meister has served clients for over twenty-five years in the areas of real estate, business, commercial transactions and lending. She guides businesses through siting and re-locating facilities, completes sales and tax free exchanges, represents buyers and sellers in stock and asset transactions, assists with liquor license transfers, and negotiates and drafts leases and other real estate and business documents. Meg advises companies doing business on Indian lands and negotiates and structures business transactions involving Indian tribes and Indian lands. Meg represents lenders and borrowers in a variety of lending transactions. Meg’s transaction work often focuses on energy, both traditional and renewable. She represents renewable energy developers and works with oil and gas operators and producers and pipeline companies. Entity selection and formation, governance issues, and mergers and acquisitions are also components of Meg’s business practice. Additionally, Meg performs duties as general counsel to non-profit and for-profit entities, providing counsel and perspective on an array of issues. 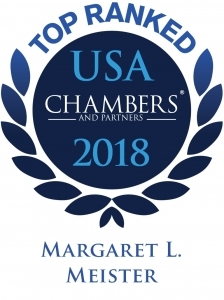 Chambers USA has recognized Meg with a top ranking in Real Estate law. Chambers noted, “'[Meg] has an impressive reputation throughout the state among both clients and peers. Clients are quick to praise her fantastic ability as a communicator and her amazing depth of knowledge,’ and that [she] is lauded by market commentators as ‘the state expert on real estate. '” She is among those listed by Best Lawyers in America® in Corporate Law and Real Estate Law, and selected as one of the Top 25 New Mexico Super Lawyers five times. She has achieved Martindale-Hubbell’s AV® Preeminent rating and named a “Woman of Influence” and “Best of the Bar” in 2009 by New Mexico Business Weekly. Meg also finds time to assist in community endeavors. She is a Past Chair of the Greater Albuquerque Chamber of Commerce, a board member for United Way of Central New Mexico, and a Past President of Golden Apple Foundation of New Mexico. 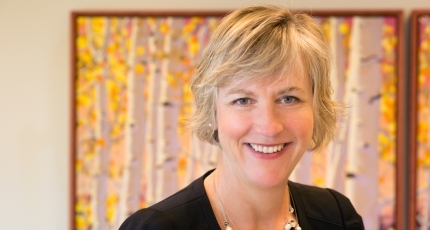 Meg serves as the Chair of the Corporate/Banking/Real Estate Practice Group and Co-Chair of the Renewable Energy Service Group and has served as a member of the firm’s Executive Committee. In her free time, she enjoys hiking, running, skiing, and being a part of her book group. Multi-step exchange of real estate among Bureau of Land Management, Commissioner of Public Lands and two private entities. The transaction included negotiation of various exchange agreements, coordinating exchange procedures and negotiating necessary private agreements. Representation of mixed-use downtown development, including development, covenants and condominium documentation, leasing, and sales, and financing for the project. Provide real estate and financing support for numerous wind, solar and gas-fired electric generation developers, including private and public land acquisition, title issues, land use, financing and required opinion letters. Work has included leases and rights of way with the New Mexico state land office. Negotiate and draft pipeline rights-of-way and business arrangements related to operations on tribal land. Review and provide opinions on oil and gas operator financing transactions. Facilitate development arrangements for oil and gas operations on tribal land. Work on acquisition of metal recycling project through transfer of assets. Restructure of non-profit entity to include asset-owing entities and operating entities and coordinating such restructuring with lenders and bond-holders. Annexation of large parcel of property proposed for mixed use development, including bulk plat and initial zoning designations. General outside counsel to Greater Albuquerque Association of Realtors and Southwest Multiple Listing Service, including contract drafting and review, code of ethics matters, and multiple listing service compliance. Structure and draft fiber optic public/private arrangement to create fiber optic loop for distance-based learning in New Mexico. Liquor license acquisition and transfer for new and existing convenience store locations around New Mexico.